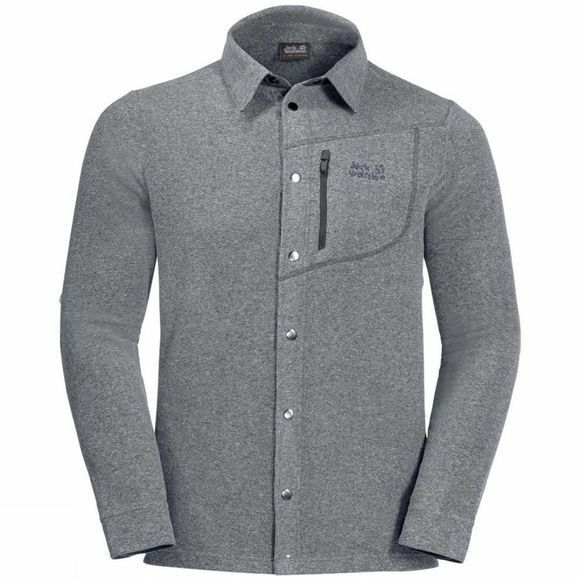 The Mens Rogaland Shirt from Jack Wolfskin is your new favourite Winter Shirt! In the city, In the Mountains or the In office, the Rogaland Shirt is never out of place. This Fleece Shirt gives you the extra warmth you need In cold weather.The fabric feels pleasantly soft agaInst the skIn and has a marled, Wool-like look. The Shirt has a zipped chest pocket to keep small items safe.